Why was Paxful created? What major problem does it solve that regular exchanges or conversion services can’t? Ray: I had a crypto awakening eight years ago, and became a die-hard libertarian. I began looking for ways to bring balance back to the world and realized that money was the root of most of our problems. Not because money is bad but, because the whole system is rigged against those who do the actual work and is based on debt. It all snowballed from there. Paxful was created not only to make bitcoin easy for everyone but also a safe and secure bitcoin trading platform. It is simple and beginner-friendly that it can take away the intimidation factor that most newcomers have when it comes to trading. Paxful is a universal money translator where people can trade almost anything for bitcoins and vice versa. Artur: When Ray and I first got into bitcoin, we felt the need to provide other people with a platform that can help them do the same as we did. We started initially with a payment processing for brick and mortar merchants. The product was great and it worked with the few merchants we had but there was still the unsolved problem on an easy way of buying bitcoin. That’s how Paxful was born, we checked ways on how bitcoins were bought online and realized P2P was still in its infancy and had a lot of room for improvement. Paxful is a safe and easy way to trade bitcoins. Getting into cryptocurrencies can be intimidating at first, and not everyone understands peer to peer finance – we wanted to eliminate that and I think that that is the problem that Paxful solves. Recently we have seen Paxful announce entries into new markets, like Kenya and Nigeria. You even announced plans to set up an incubator in Nigeria. What is driving this growth? Ray: The need for it and the strength shown of the African people drive this growth. Africa is our biggest market. In recent years, Africa has been experiencing a high inflation rate and they have now realized that peer-to-peer finance is the way out of this financial crisis. The African people have shown resilience in their time of need, and it has paid off. Artur: When Ray and I founded Paxful, it was our goal to make bitcoin accessible globally and show people the good that it can do in struggling countries. What drives this growth is the strength of the people and their willingness to take on something new, something they believe can help their community now and in the long run. We want to the original mission of bitcoin and show people that a lot of good can come out of peer-to-peer finance. Developing nations are some of the biggest markets for Paxful in the world. What are some of the reasons why it has worked so well? Ray: When developing nations experience things like inflation and economic crisis, Paxful presents an alternative to maintain and accumulate wealth. If your local currency is experiencing inflation, then converting it to bitcoin might be a good idea. Since bitcoin isn’t something that’s regulated by the government, it becomes money that you can control yourself. Artur: Another reason is that developing nations are the biggest markets is that bitcoin isn’t tied to their specific country. If your local currency inflates, there is no direct correlation to the value of bitcoin. It becomes a way to keep your money safe. With your entry to Kenya, what plans do you have in place for Kenya? Are they any different from those in other African countries? Ray: Our plans are the same: we just want to help in any way we can. We have built schools and water irrigation systems, if Kenya needs the same sort of treatment, we would be happy to help in any way we can. Artur: We also want to educate people about cryptocurrency and how it can help just not their people, but also people around the world. If we can convince just one person that this is the key to the future, we’d be incredibly fulfilled. What do you think about countries cracking down on Bitcoin? Artur: It is understandable. When bitcoin was first introduced, it was mostly used for illegal activities. Now that time has given the chance for bitcoin to evolve and mature, it’s in a much better place. There’s a lot of good that can be done with bitcoin and the Paxful team will try our very best to showcase that in years to come. Ray: It’s understandable that countries are still cracking down on bitcoin. But in Paxful, hear the subtle sound of our muted chuckles as we watch 2.5 million people around the world use P2P Finance to preserve their wealth from inflation, make payments without limits, borrow bank accounts anywhere in the world, sell to anyone in the world and do everything they ever wanted with their money. I have also noted that you have plans to construct a school in Rwanda. Where the idea for building a school in Rwanda did come from? Ray: I have always wanted to build schools for places that need it. Education is the cornerstone of every successful venture. I want the kids in to have a chance to be successful. Instead of buying yellow lambos to show off how much money we’ve made off bitcoin, why not spend it on something that can make a real difference in people’s lives? The #BuiltWithBitcoin initiative shows the good that you can do with bitcoin. Artur: As Paxful grows into a leading peer-to-peer finance marketplace, we want an opportunity to be able to give back to those who need help. Building schools and water irrigation systems can make a great difference in a community that is in need of it. These few schools are just a beginning, we aim to build a whole lot more and show the world the good that can come out of bitcoin. What other sites are good options to use besides Paxful for better privacy? Ray: Any platforms out there that are willing to help the little guy is always good to have. 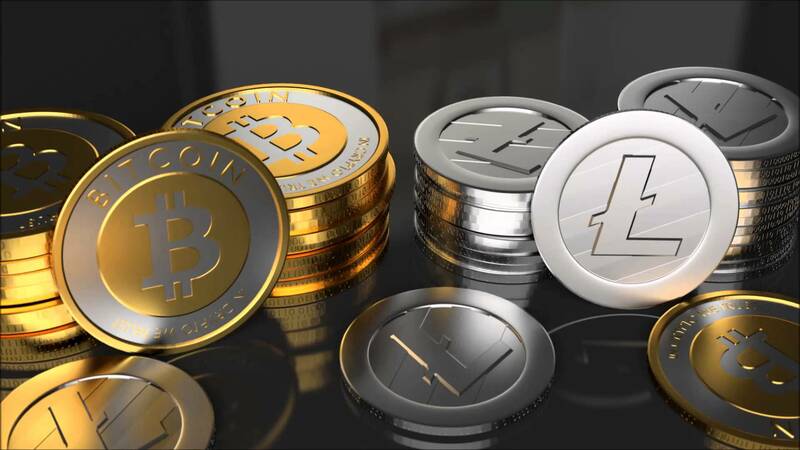 The idea of cryptocurrency is a decentralized currency that anybody around the globe can use. Using only one platform to trade will definitely defeat that very idea down to its core. Artur: If the marketplace that you are using has a policy of some sort that aims to know their users to avoid money laundering schemes, you can bet that that platform is trustworthy and has their users’ safety on their mind. What are a few easy red flags to spot a scammer on these sites? Ray: If you inform yourself about how the trade process works, then you learn about what is out of the ordinary. Just like in real life, you can tell if a person has ulterior motives through body language. On these sites, you can tell by the way they present themselves online. If they chat suspiciously or have awkward online behavior, you should already be putting your guard up. This usually comes in the form of users rushing other users to submit requirements or release bitcoins, depending on which side the user is on. These scammers will look for a vulnerability, and if you don’t want to fall victim to these scammers, you’re going to have to learn how to protect yourself in these situations. Artur: Nowadays, scammers are getting trickier and the best thing you can really do is learn how to trade properly and you should be fine. Go through the in-depth tutorials we have and ask questions to the moderators so you can learn how to protect yourself. Additionally, we provide tools to our users to see their trade partners’ details. We give our users the ability to block other users behind VPN, certain countries, and multiple other criteria.